Mango is a 41 foot Lagoon luxury Catamaran. The yacht is perfect for any kind of yacht charter and is an excellent choice for vacations for couples, families and small groups. 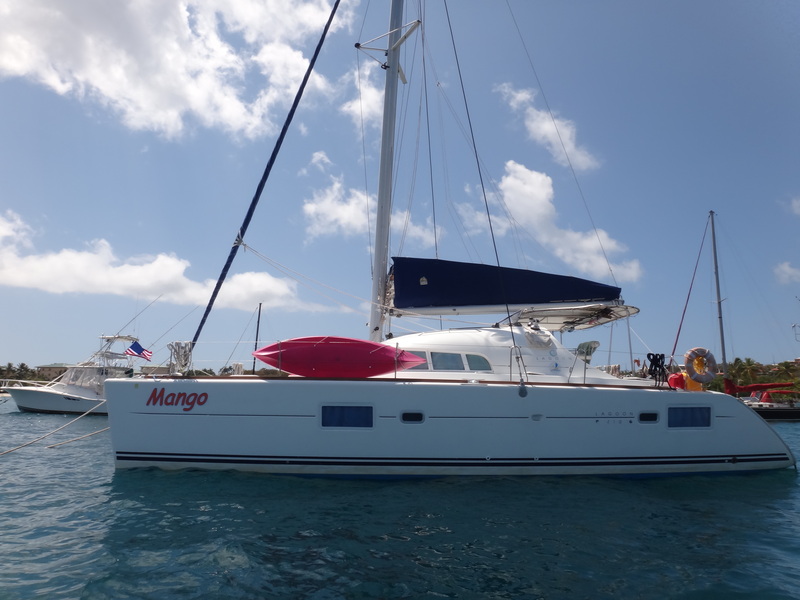 Mango is fully equipped to take up to 6 passengers on multiday charters or day sails. She features 3 well appointed guest staterooms each with their own bathroom. 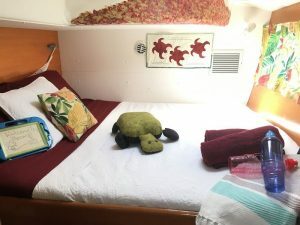 Common areas include a living room/dining area and galley on the main level, as well as outdoor dining and sitting area in the cockpit. There is also a large area in front for relaxing in the sun. With S/V Mango’s spacious design and shaded cockpit, you can be assured that you will be sailing in comfort. The cockpit area offers ample seating allowing passengers to enjoy sailing in the shade. 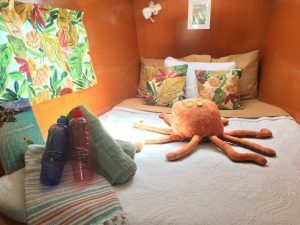 If soaking up the warm Caribbean sun is on your agenda, there is plenty of room to spread out on the trampolines located on the bow of the boat. The stern swimming platform has a fresh water shower ready for you to rinse off after swimming or snorkeling. When it comes to play time, Mango is at the ready. For in the water fun, there is snorkeling equipment, swim noodles, and saddle floats for guest use. If you prefer on water exploration, Mango has both a kayak and a paddle board onboard.